Now that the pre-Autumn air is beginning to lightly kiss our cheeks, it’s time to rethink “dinner”–not too much, just a peck. What spells C-O-M-F-O-R-T to you? We all have one, two or even three (or more) palate pleasing memories that tug at our food-strings. Here’s a true comfort food classic that fills the air with the newly baked, savory aromas of fall. 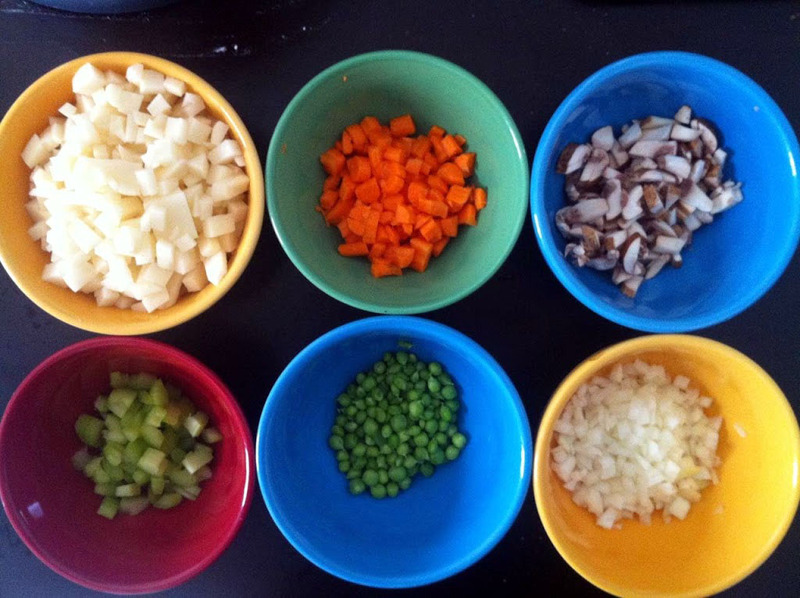 In a saucepan, combine chicken, carrots, peas, and celery. Add water to cover and boil for 15 minutes. Remove from heat, drain and set aside. In saucepan over medium heat, cook onions in butter until soft and translucent, add potatoes and mushrooms, cook an additional 5 minutes. Stir in flour, salt, pepper, and celery seed. Slowly stir in chicken broth and milk. Simmer over medium-low heat until thick. Remove from heat and set aside. 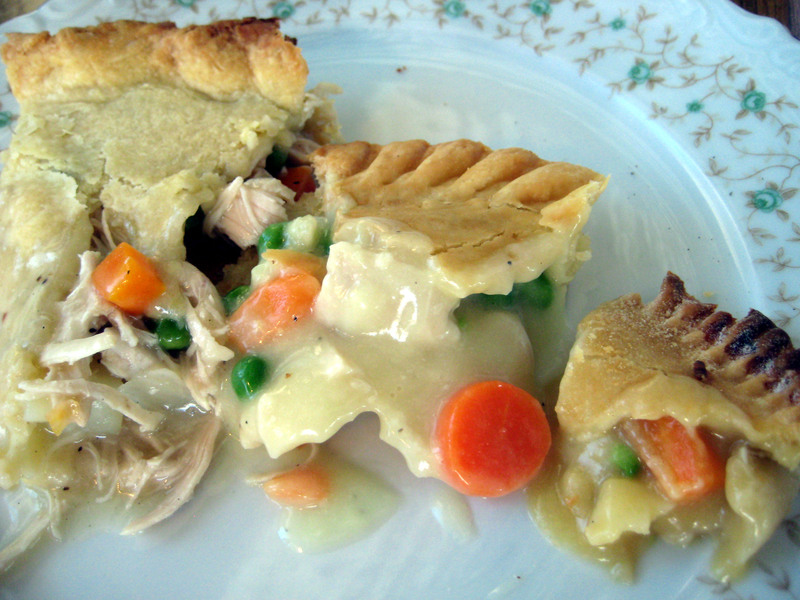 Place chicken mixture in bottom pie crust. Pour hot liquid mixture over. Cover with top crust, seal edges, and cut away excess dough. 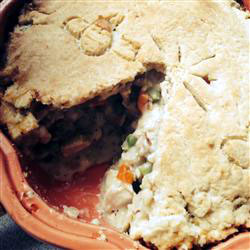 Make several small slits in the top to allow steam to escape. It’s yummy, Jana! Low sodium chicken broth would work out just fine. Just add a few more herbs for flavor and you’re all set! You can even make a roux, but that’s another recipe 😉 Thanks for commenting! Thanks for the wonderful comment-this really means a lot to me 🙂 This really is a super recipe and easy too! Beef broth can be used for beef too! You’re so sweet! !